If you happen to be injured in a criminal attack in Greenacres, Florida, you may be eligible to get compensated for your harms and losses. Our Greenacres crime victim compensation lawyers can help you determine that and will help you navigate through the legal procedures. Call us at 855-982-2067 for your free consultation. Greenacres is a small city in Palm Beach County, it borders with the Lake Worth Corridor and Palm Springs in the east, Aberdeen and Boynton Beach in the south, and Royal Palm Estates and Golden Lakes in the north. Around 37,000 people call Greenacres their home. Unlike most US cities, Greenacres was named after a contest organized specially for naming it. Needless to say, you may still be eligible to claim damages recovery if you’ve been injured in another type of crime as well. That is why it is important for you to speak with the best Palm Beach crime victim compensation lawyer you can call. If you or your loved ones have suffered personal injuries due to a criminal offense in Greenacres, or are murder survivors, you may have the right to claim damages recovery from those liable for the injuries. Florida laws give you three ways to recover. The first possibility is getting compensation from the criminal offender. As soon as he is convicted in court, you can follow up and obtain a judgment. But most criminals fail to pay for the damages caused by their criminal acts. In addition, sometimes the offender stays out of reach for law enforcement authorities, sometimes he is caught but the trial takes too long, and in some cases, he is convicted but he has no funds to pay for your damages. In such scenario, you can turn to the other two options. One possibility is that a third party is responsible under the premises liability laws. The third person or party in your case could be a shopping mall, a restaurant, a bank, an affordable housing complex, a hotel, or any place that invite people for commercial reasons. They owe visitors a reasonable duty of care, which means they have to take all the necessary measures to prevent foreseeable crimes on their premises. 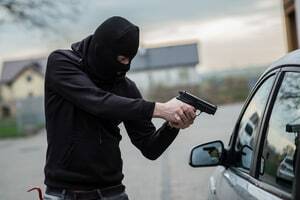 When they breach their duty due to negligent security, a criminal accident could occur. If you happen to be injured in one, the third party or person may be legally responsible for your injuries and you might be able to claim damages from them. The Florida Bureau of Victim Compensation offers another opportunity. They won’t ask who was guilty and if anyone has been convicted yet. They’ll ask only for documents to support your claim that you’ve been injured as a crime victim in Florida and that you’ve had economic losses due to the injury. It might sound easy, but our Greenacres crime victim lawyers at the Wolfson Law Firm have seen many people struggle in their attempts to get fair compensation on their own. That is why we suggest that you call the West Palm Beach crime victim compensation lawyers at the Wolfson Law Firm. All consultations are free and we never charge a fee unless we make a recovery for you. Call us now at 305-285-1115 and get the information and the justice that you deserve.